Not long ago, Ed and I flew to Greece for a big fat Greek holiday! 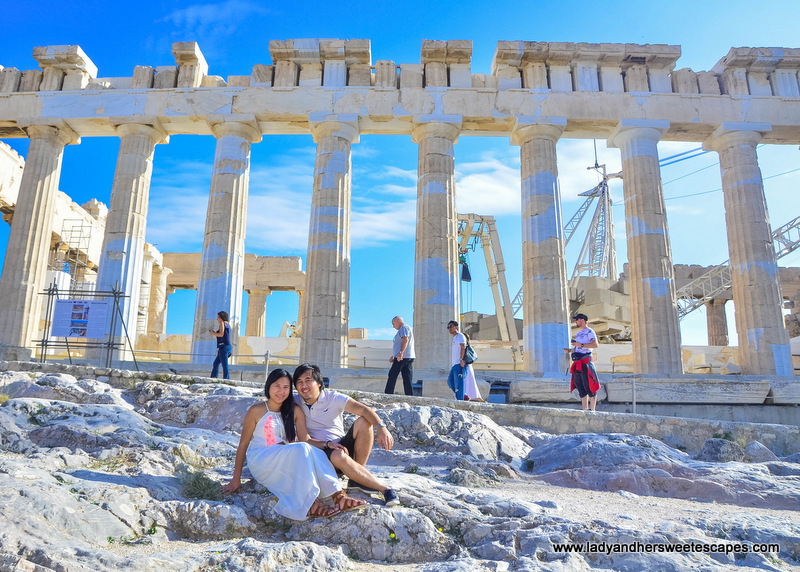 It was an 8-day vacation which commenced in the country's capital - one of the oldest cities in the world - Athens! To be honest, I was not excited for the city stopover. 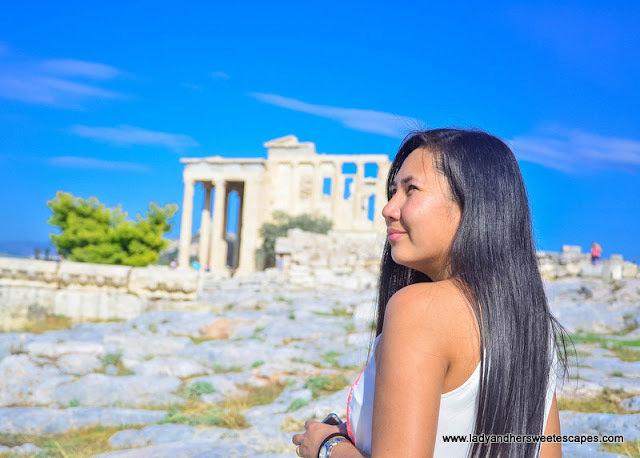 My thoughts were pretty much focused on spending lazy days under the blue sky and having an endless view of the Aegean sea over the horizon. My, my! Am I getting old or what? 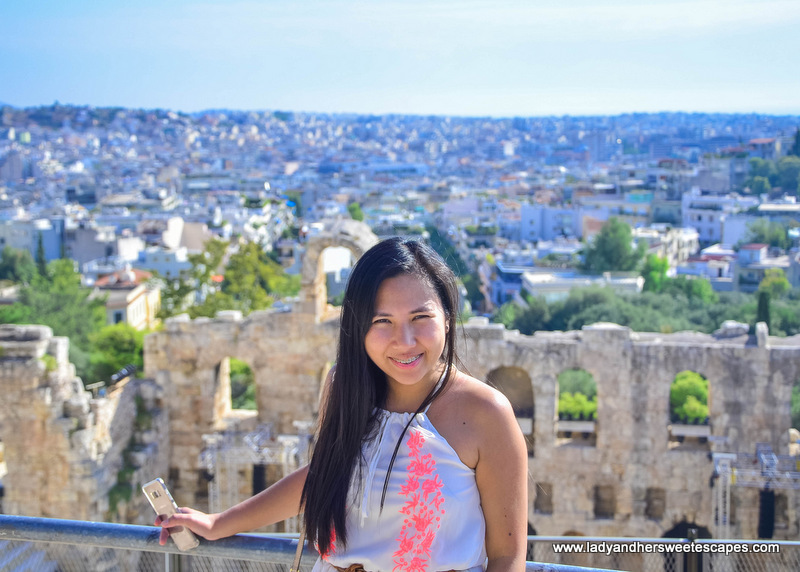 But since it was our first time in Greece, and no one knows if we'll have another chance to visit, it would be a shame to miss Athens. 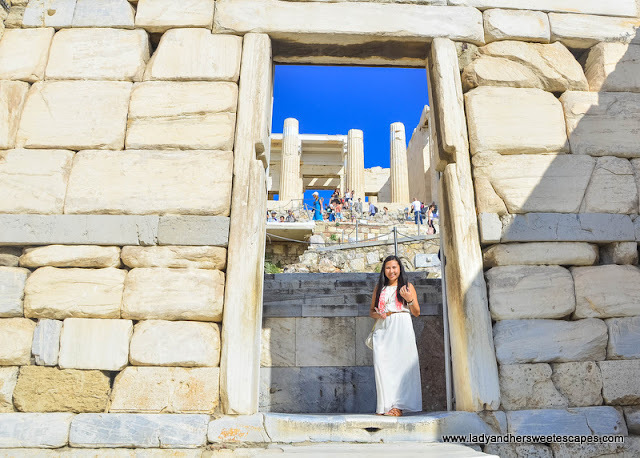 Hence, we spent two full days in the city before heading out to the Greek islands. 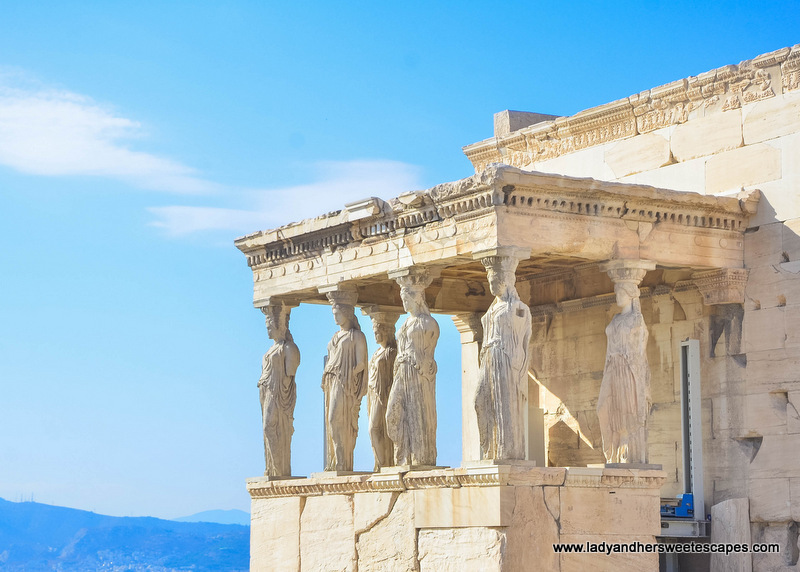 Athens is historical and purely fascinating; that's a fact! But it is also grimy, scammy, grafitti-filled, and sometimes disturbing. So, it was unexpected, yet unimpossible, that Ed and I would have a great time in Athens. Was it because of the right decisions we made along the way? 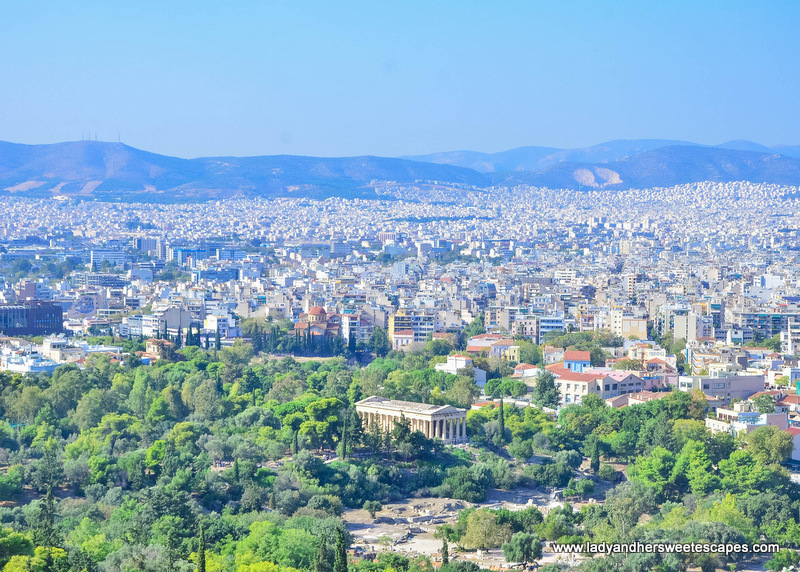 Or simply because Athens is unpretentious and charmingly likable in spite of it all. 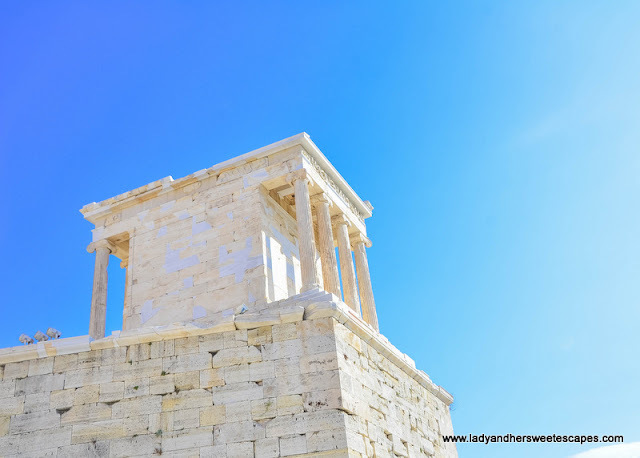 Although we only spent two days and a half in Athens (no expertise badge here), let me share our top recommendations coming from our personal experiences during the trip. 1. 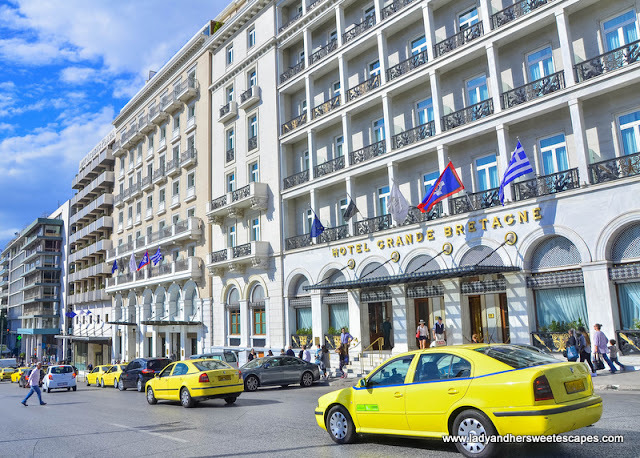 Stay in the heart of Athens. 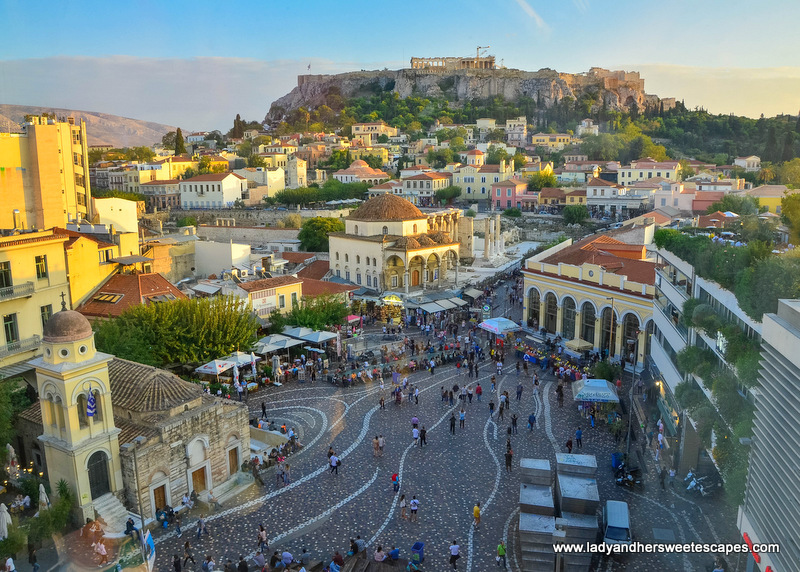 Where else but in a neighborhood at the foot of the Acropolis! Ed and I booked an accommodation in Plaka and we loved every second of our stay. Firstly, we never had a hard time getting to the historical attractions as they are within the area. Secondly, there are good tavernas nearby. We randomly chose a lunch venue on our first day, yet still had a delicious Greek meal. Thirdly, the vibe is amazing! The neighborhood has a charming "village feel" with neoclassical homes and cobblestone streets. I did not feel I was in a big city while we were there! 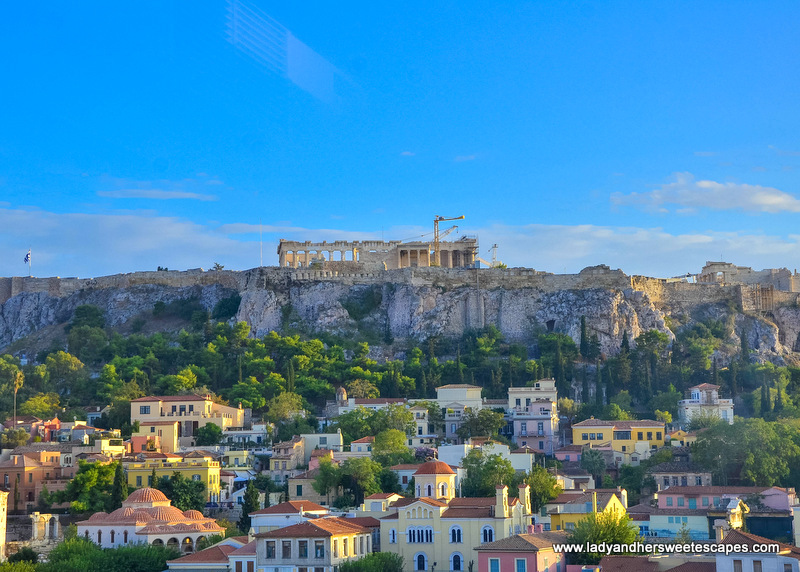 Lastly, we got to wake up to an amazing view of the Acropolis in the morning! And that's quite the best way to start your day in Athens! 2. 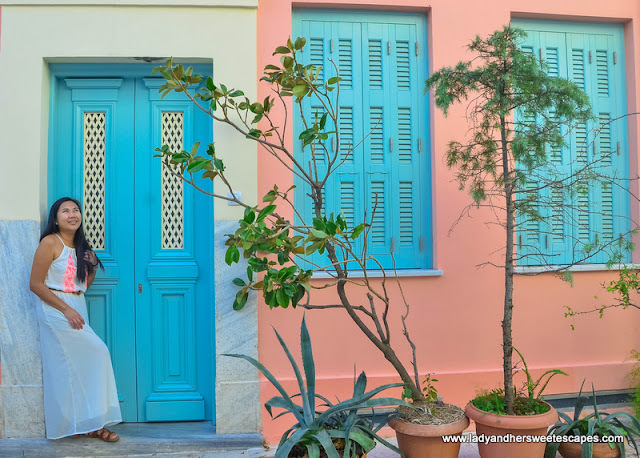 Get lost in Plaka. 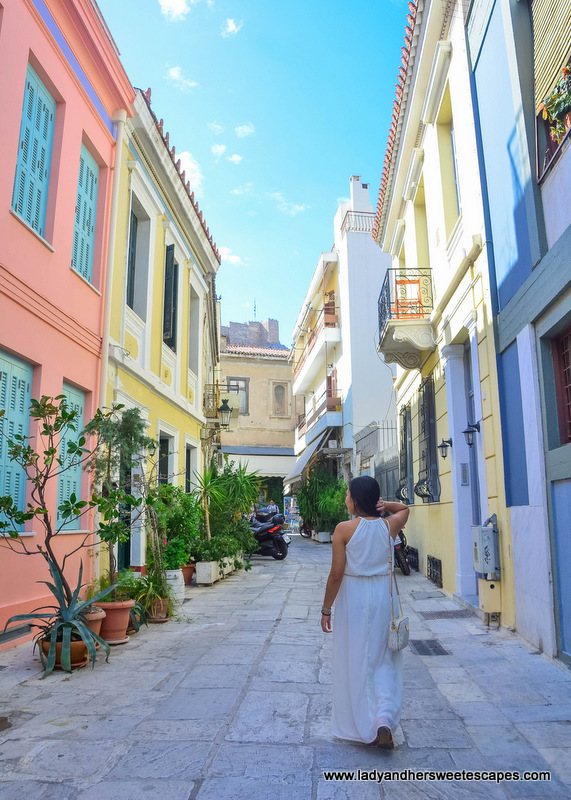 Plaka's narrow winding streets are confusing and getting lost is inevitable. Ironically, Ed and I loved every wrong turn! 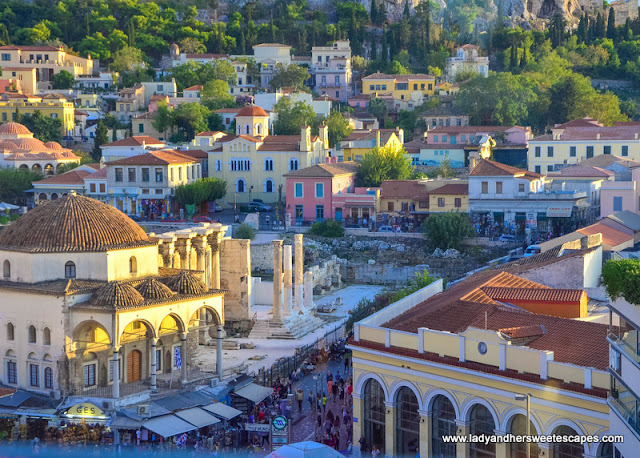 It is a historical hillside neighborhood in Athens dotted with old Greek buildings, taverns and markets. We always stumble on to something nice and interesting. Futher uphill is Anafiotika; a residential area tucked in the northeastern slope of Acropolis Hill. This is my favorite part of Plaka as it is tranquil and isolated from touristy side. This narrow street leads to our fave tavern! 3. Chill in a rooftop bar in Monastiraki. Monastiraki is another district near the Acropolis with a fascinating local scene, but a lot of people told me to be extra careful while in there. It is quite infamous for theft and scam. A common tourist scam in Monastiraki Square is The Rose Scam. A vendor will offer a free rose, but will demand money when you accept it. The best way not fall into this scam is by firmly saying no and avoid further interaction. 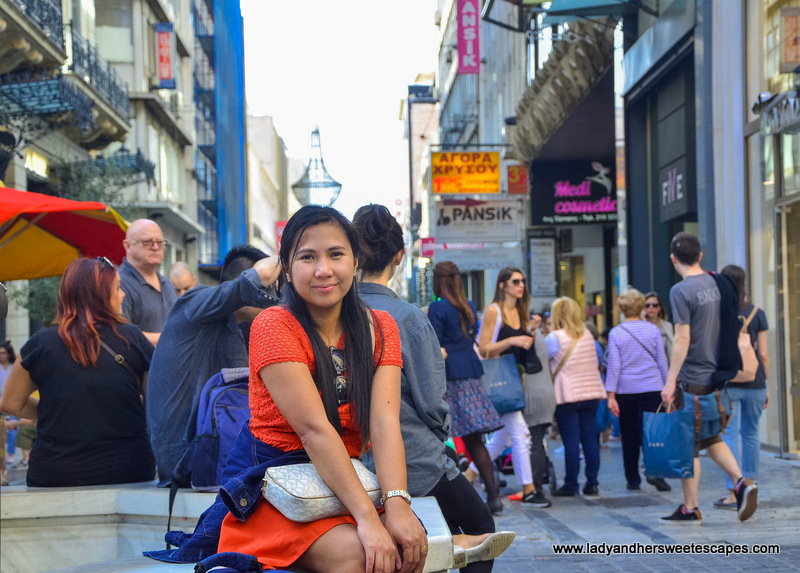 Instead of meandering around the square, we decided to steer away from the crowd and just watch the happenings from afar. We went to A for Athens rooftop bar, had a tall glass of frappe, and took in the amazing views without any distractions. 4. Watch the Evzones in a Changing of the Guards ceremony. 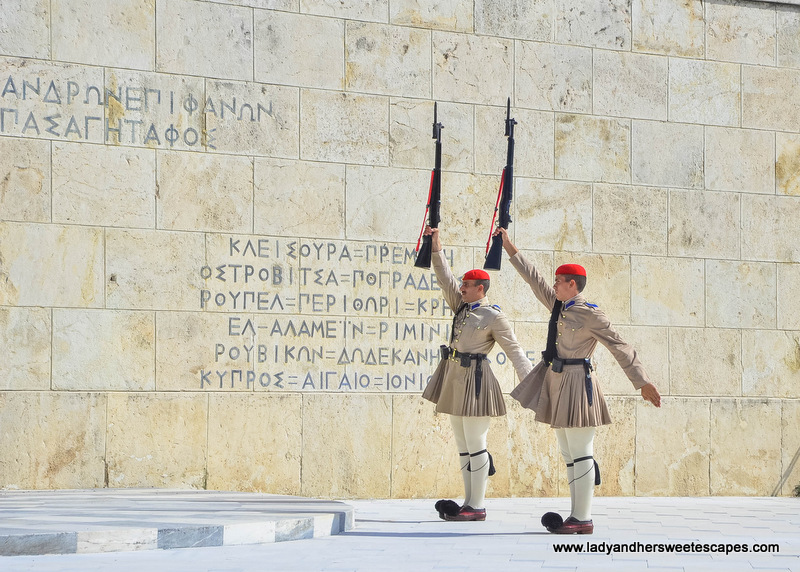 When our fave reality travel show - The Amazing Race - featured the changing of the guard ceremony in Athens, I said, we have to witness it when we to travel to Greece someday! It is so fascinating; from the uniform to the stance and movements! 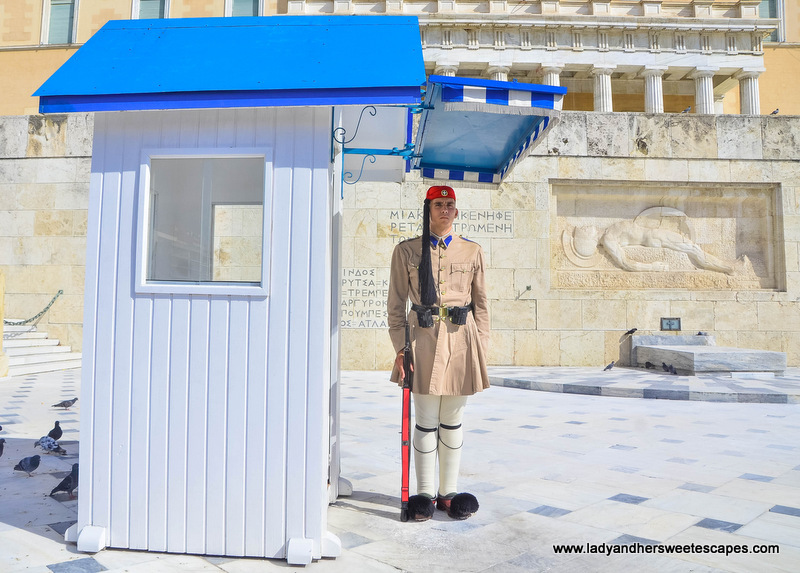 The Changing of the Guards happens daily, every hour at the Tomb of the Unknown Soldier; but, the official ceremony is held every Sunday at 11 am. 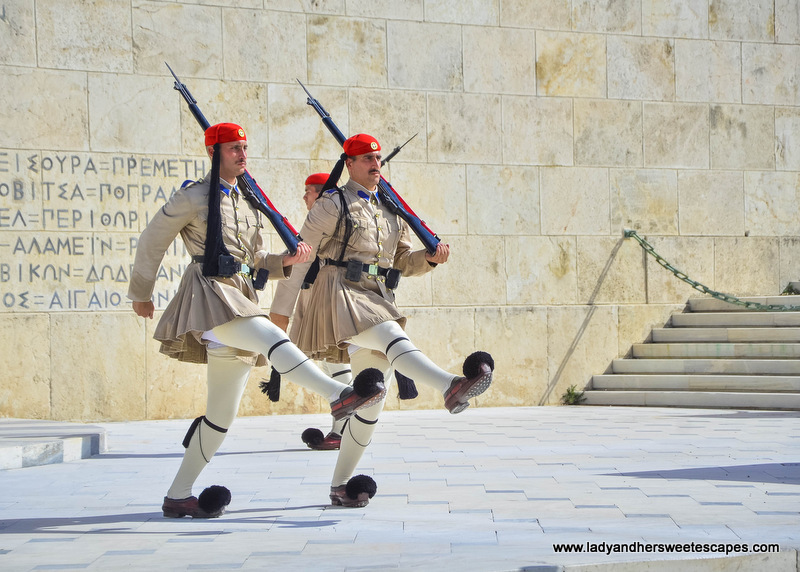 The Evzones or the Greek Presidential Guards march in synchronized steps. Everything in their uniform, from head to toe, has a significant meaning. All roads lead to Syntagma. That's what we noticed while we were in Athens. It is the epicenter of the city; a transportation hub, a prime business and commercial area, and a home to the Hellenic Parliament. Hence, it has a mix of local and tourist crowd. 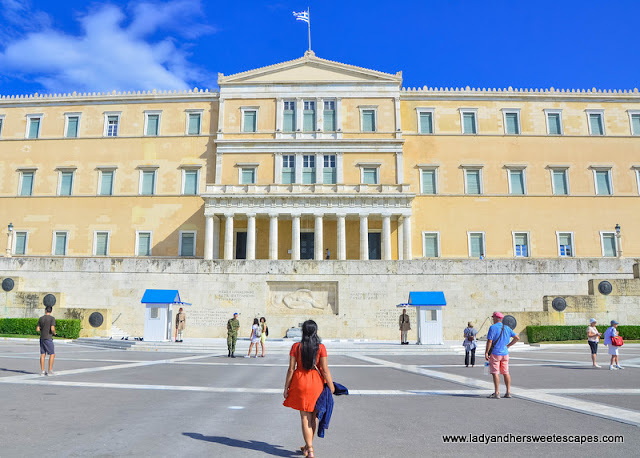 Syntagma is smacked in the middle of the historical neighborhoods; Plaka, Monastiraki and Kolonaki. 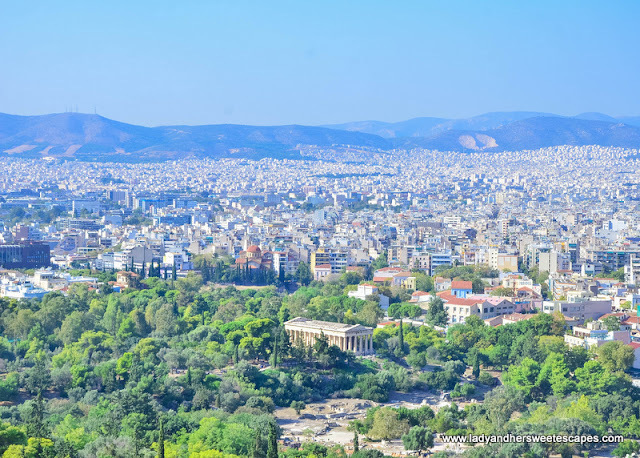 Attractions located within walking distance are the Tomb of the Unknown Soldier, the National Garden, the Panathenaic Stadium, the Acropolis and other archaeological sites. 6. 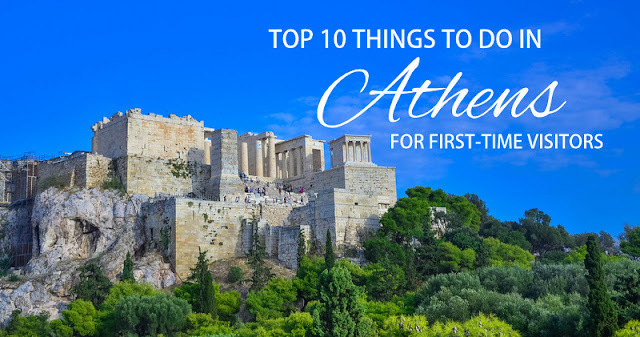 Watch the sunset at Mount Lycabettus, but first, do a weather check! 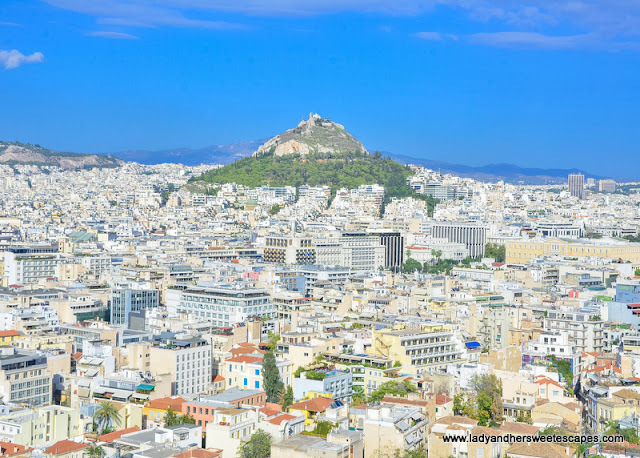 Standing 277 meters above sea level, Mount Lycabettus is the highest point in Athens. 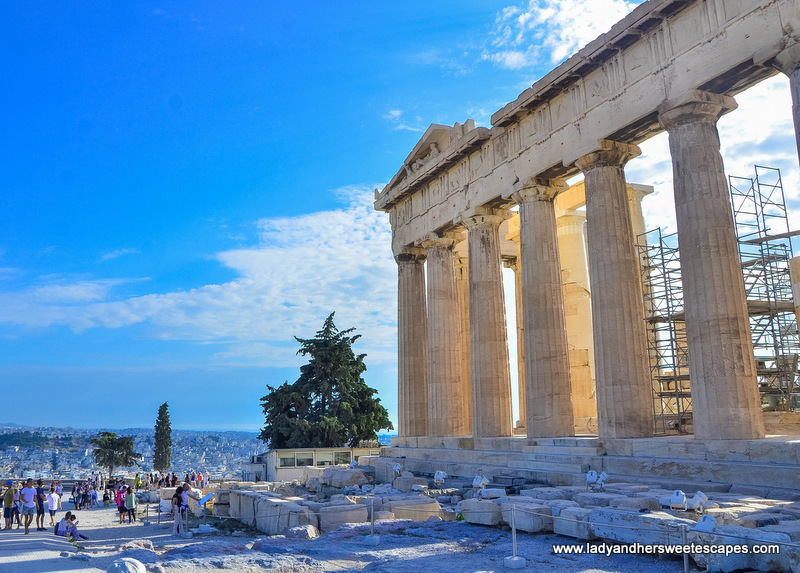 We got a good view of it from the Acropolis. And, yes, same goes the other way around, a breathtaking aerial view of the Acropolis can be seen from Lycabettus Hill. To get to the top of the hill, you can either hike (more like an uphill walk), or take the taxi, or ride the funicular. We opted to do the latter thinking it would save us time. But, no! The Telerefik station is quite a long walk from the nearest train station which is Evangelismos, and the funicular depart only every 30 minutes. Since it was a spontaneous decision to visit Mount Lycabettus, we missed to do a weather-check! 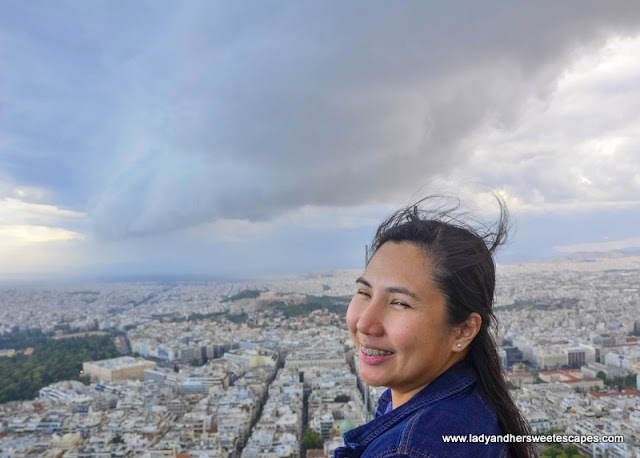 It was pretty gloomy and super windy when we reached the topmost deck. No view of the sun setting behind the Acropolis for us, but I bet it is the perfect spot to watch the sunset on good weather condition. And this is the view from Mount Lycabettus. Can you spot the Acropolis? Cloudy with a big chance of rain! 7. Dine in a Taverna. 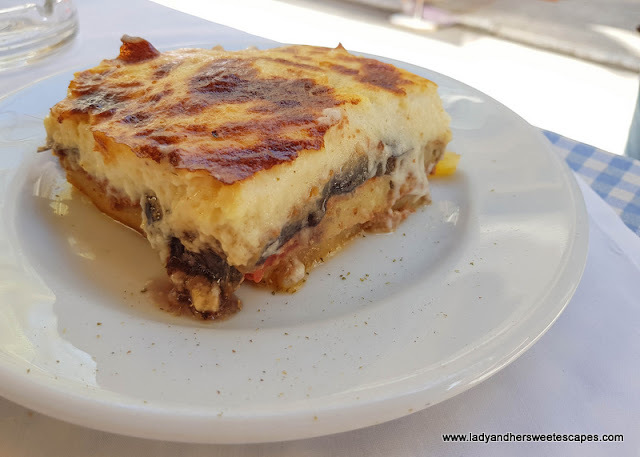 Taverna is a small Greek restaurant; mostly family-run. Compared to a modern-day restaurant, the tavern has a traditional setting and a homey ambiance. 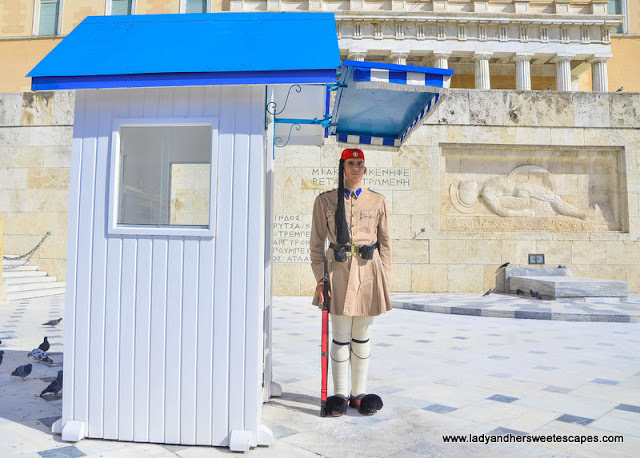 There are several of them at the foot of the Acropolis. 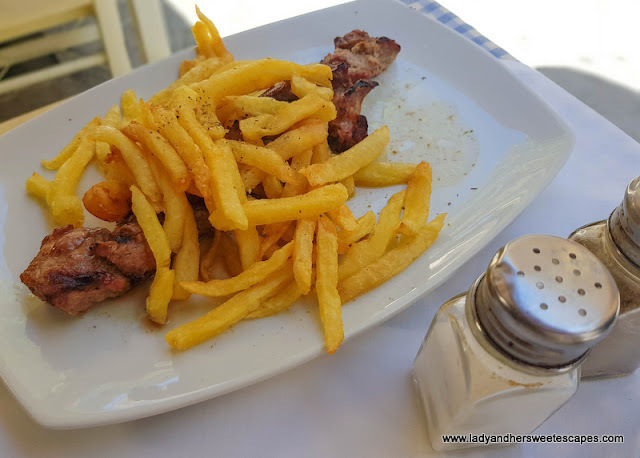 Although they may seem to look like traps for hungry tourists, there are still some where you can enjoy authentic Greek cuisine at a reasonable price. 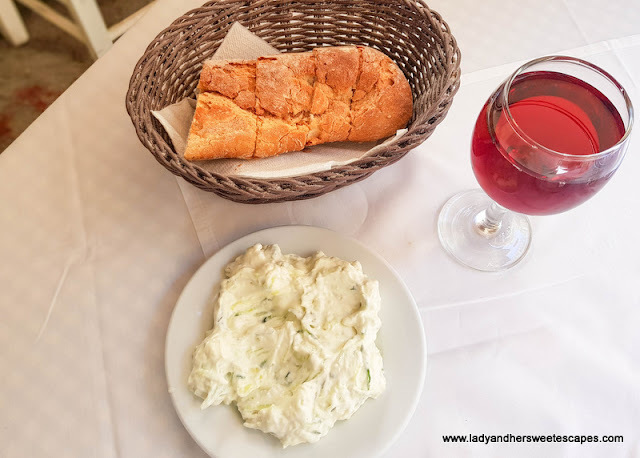 We happily recommend Taverna Ta Giouvetsakia in Plaka. 8. Make use of the public transportation. 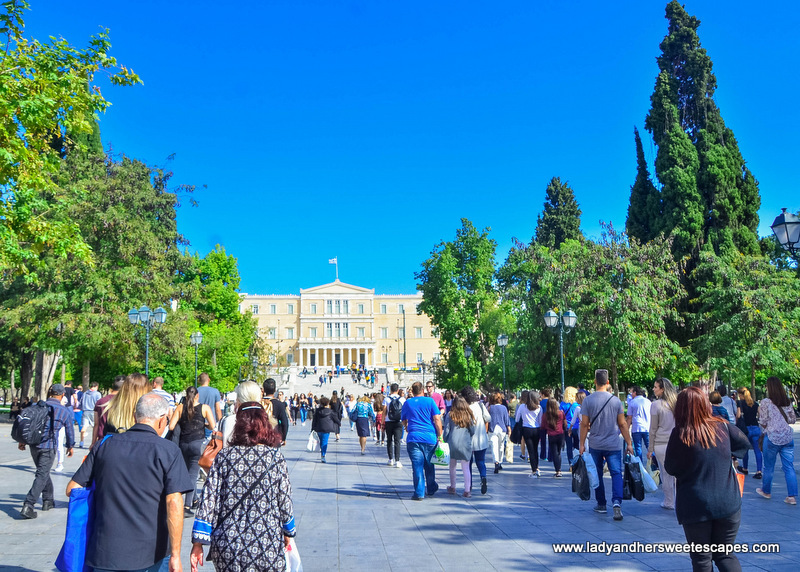 Athens has an efficient public transportation. Bus stops and train stations are conveniently located near tourist attractions. Getting to the city from the airport, we had two options - take the Metro or ride the Bus X95. 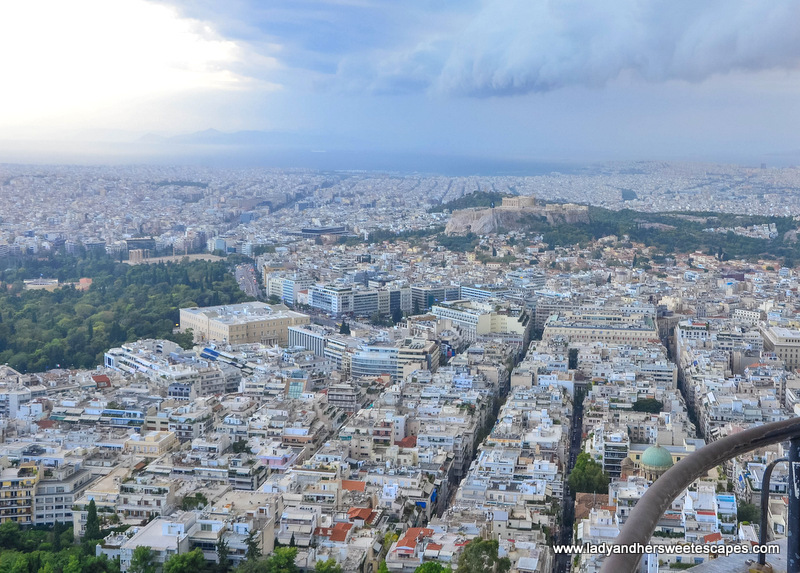 Both runs directly to Syntagma Square. The metro is probably the best choice, especially during the rush hour, but it is also more expensive. We paid 18 Euro for two one-way Metro tickets, whereas the bus ticket only costs 6 Euro each. But, when traveling during the wee hours, the bus is the only way to go. Bus X95 is available 24 hours. 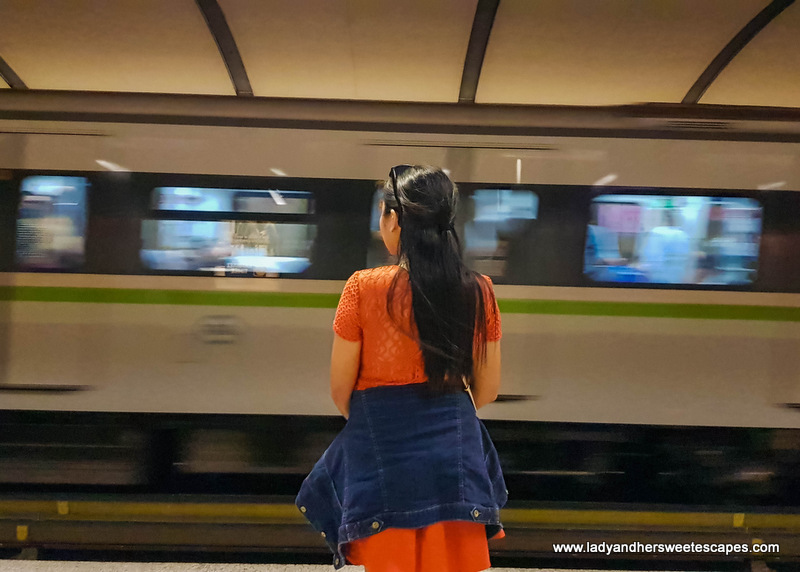 Getting around the city, we mostly used the metro. We only took the taxi once, and it was when had to go to the main bus terminal for the bus to Corinth. We attempted to book an Uber that morning. However, as seen in the app, the driver kept making wrong turns for a good 30 minutes until he canceled our ride. Our last resort was to ask the hotel receptionist to book a taxi for us. That way we didn't have to negotiate for the fare. Well, of course! You're in Athens! 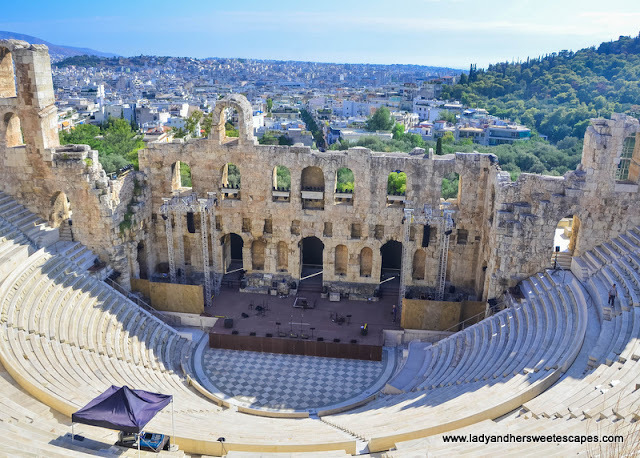 There are two types of tickets for the Acropolis; a regular ticket for 20 Euro and a multi-site ticket for 30 Euro. 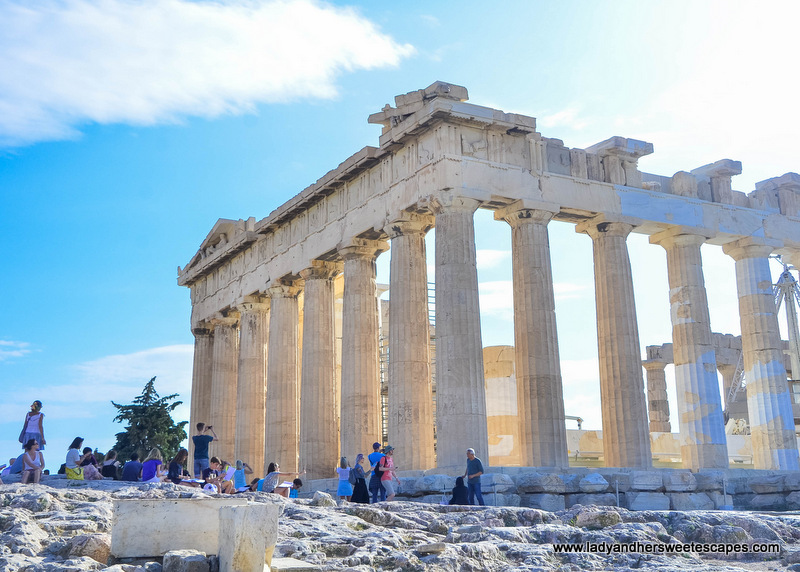 The latter is valid for 5 days and includes entrance to the Acropolis and six other Archaeological sites in Athens. 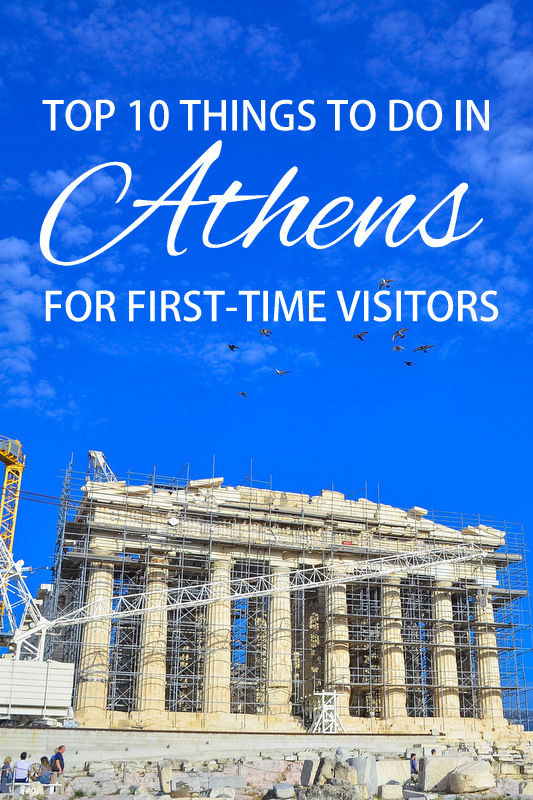 Because we arrived in Athens in the morning and we want to avoid the midday crowd, Ed and I visited the historical site late in the afternoon. 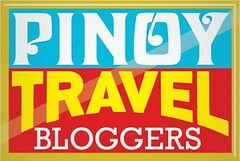 We are not your Nat-Geo-kind-of-travelers. We do appreciate ancient ruins, but we don't really dig deep (if you know what I mean). So, the 2-hour visit was enough for us. We were able to walk along the north and south slopes, and visit the must-see attractions in the ancient citadel. On the left side are young artists sketching the popular landmark. Another side of the Parthenon. This one is nearly restored. 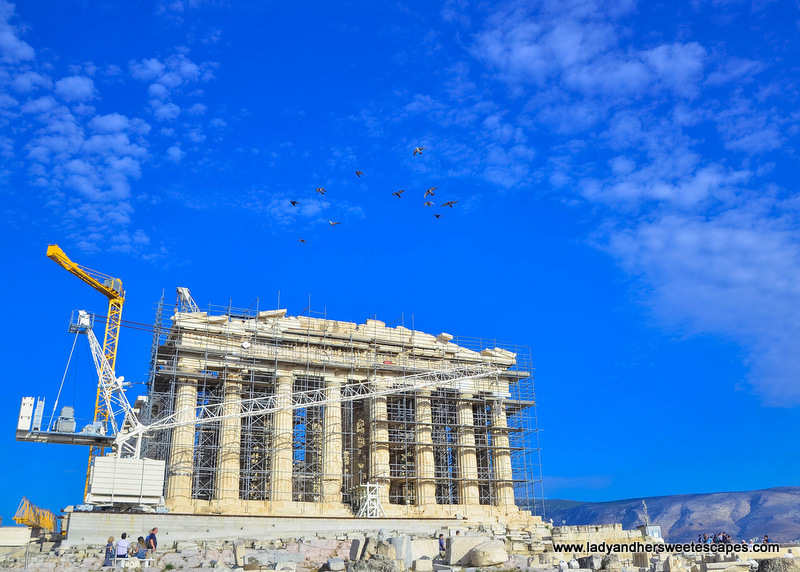 Can't wait to see this ancient wonder fully restored! 10. 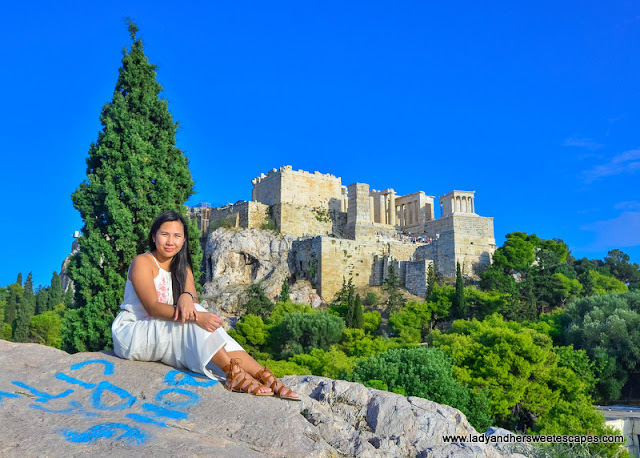 Get the best view of the Acropolis from Areopagus. 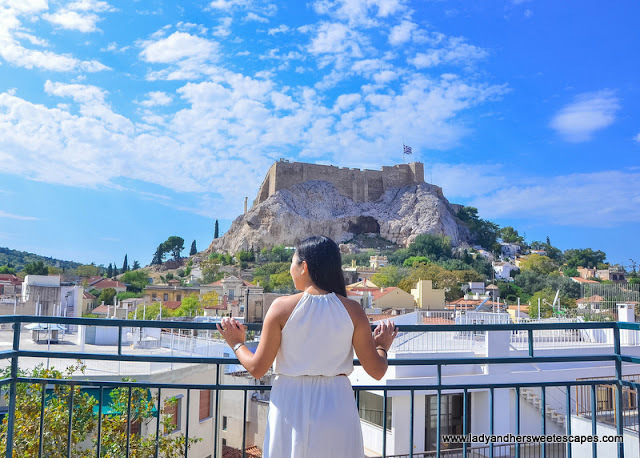 Located at the northwest of the Acropolis is rocky hill known as Areopagus. It offers breathtaking views of the Acropolis Hill protruding from the greenery. The hill is easy to climb, but some parts are slippery. So, don't attempt to do some crazy photography stunt here! It is dangerous and also quite inappropriate. The Areopagus is said to be the place where Apostle Paul once preached. 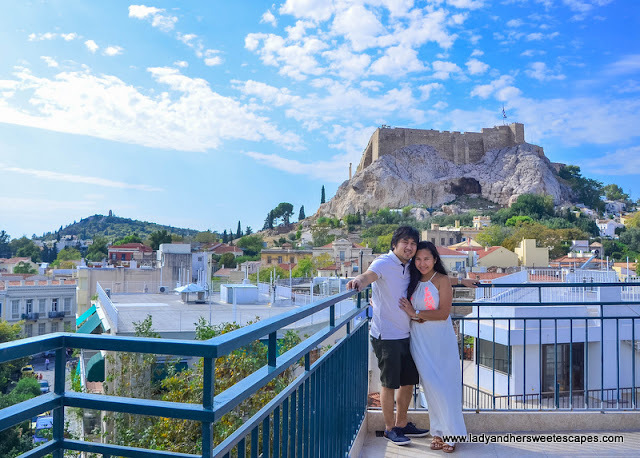 How to get to the Areopagus? Exit the Acropolis from the west side. The Areopagus is easy to spot from the Propylaia. Just search for the bare marble hill.